Most Malaysians would have heard of Tan Chong Motors and Sons. The 3 brothers of Datuk Tan Heng Chew, Eng Soon and Eng Hwa are the ones responsible in running the company today. Together, they sit at the 21st spot of the richest people in Malaysia. Tan Chong Motors is one of the most significant automotive companies in the country where it mainly enjoys revenue through the selling of Nissan and Renault cars. The group is headed by its president Heng Chew. In Malaysia, Nissan is among the top automotive brands which has enjoyed a lot of success for the past few generations. 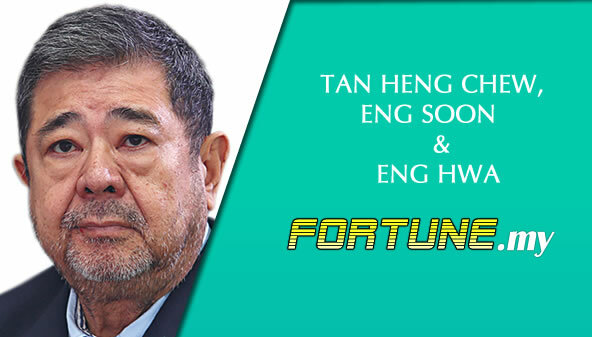 Tan Chong Motors has one of the most remarkable success stories where it has been around for the last few decades including surviving 3 economic crises. Today, the growing automotive market in Malaysia has seen the wealth of the Tan brothers leapfrogged over many others in the rankings. Tan Chong Motors is among the oldest public companies in Malaysia. The Tan brothers’ main source of wealth continues to come from the automotive market while it has business interests in other sectors as well.